Health and social care commissioners and providers use national and local statistics and research to planning future services and making decisions on how to spend their budgets. This page has downloads and links to some of this research and future plans and strategies. 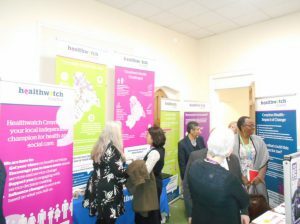 For an overview, have a look at our travelling exhibition Health of Croydon which shows the diversity, challenges, the expenditure and costs of services and some service changes. 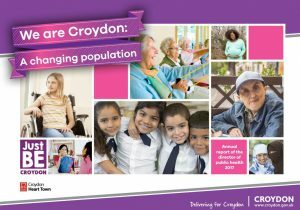 Latest Report by Croydon’s Director of Public Health. In her latest report Rachel Flowers has highlighted the impact of a child’s first 1000 days, on a child’s life. The purpose of the Joint Strategic Needs Assessment is to improve the health and wellbeing of the local community and reduce inequalities for all ages. JSNAs assess the current and future health and social care needs of the local community. These are needs that could be met by the local authority, Clinical Commissioning Groups (CCGs), the wider NHS or the voluntary and community sector. This analysis of needs is used to help to determine what actions local authorities, the local NHS and other partners need to take to meet health and social care needs, and to address the wider determinants that impact on health and wellbeing. 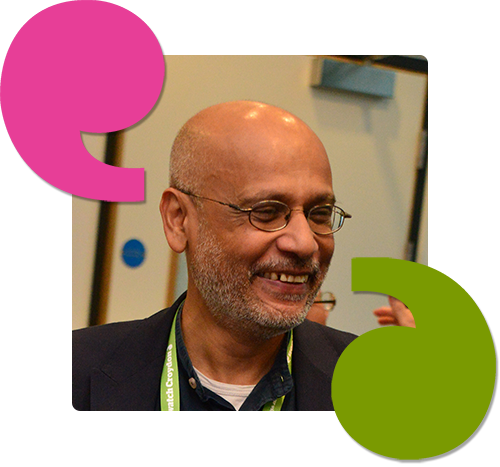 The role of the public health team is to involve everyone in improving the health and wellbeing, reducing inequalities and increasing life expectancy of all people in Croydon. Find out more about what they do here. Download their 2017 public health report published in January 2018. The Croydon Observatory provides access to data and information about Croydon. It is an information sharing, mapping and reporting website that can be used by anyone. Information and data on this website can be used by local government, community and voluntary sector organisations, partnership members, businesses, students and the public.